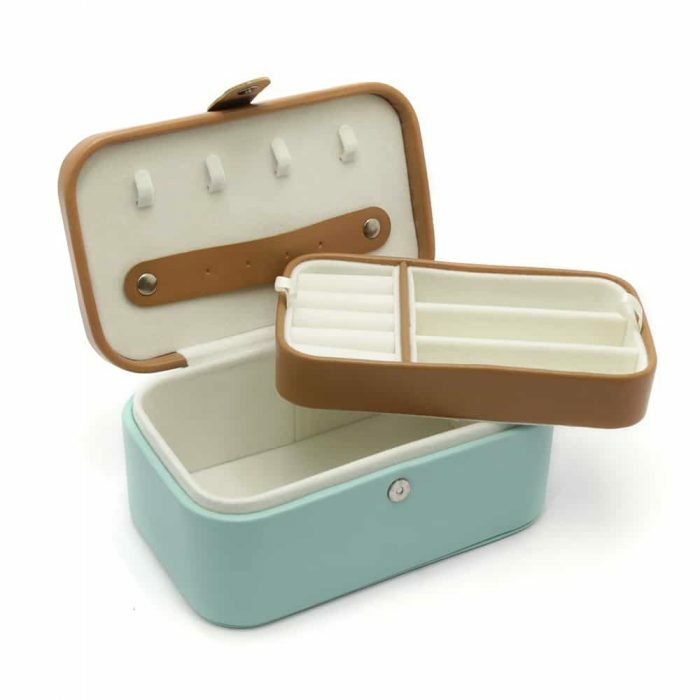 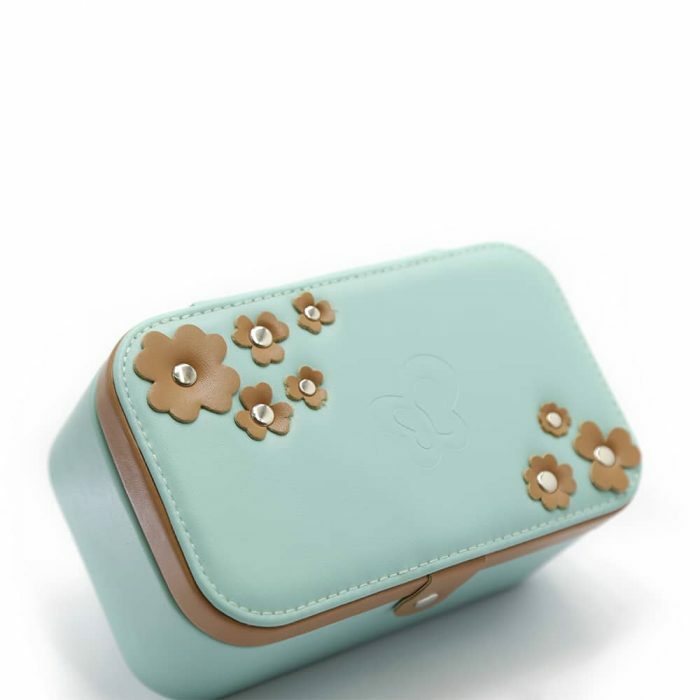 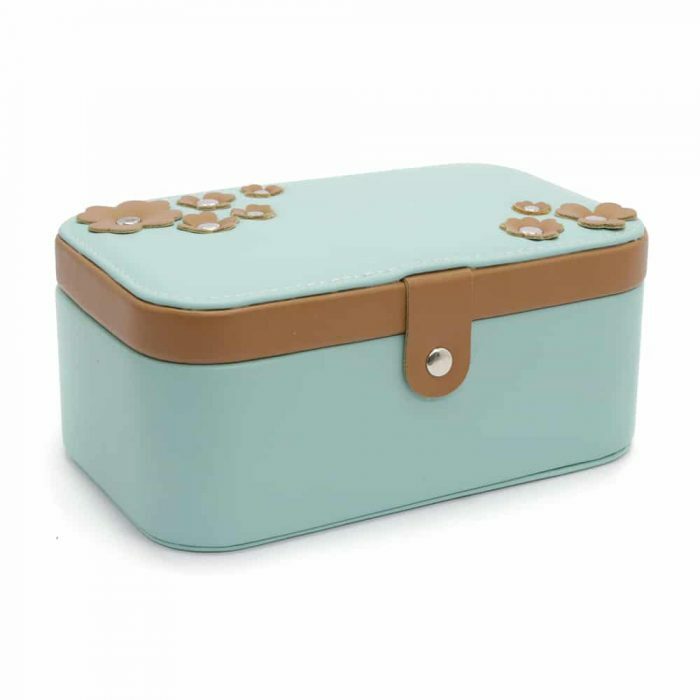 This Turquoise Jewellery Box has a fashionable exterior with flowers on the top and a silver clip to lock. 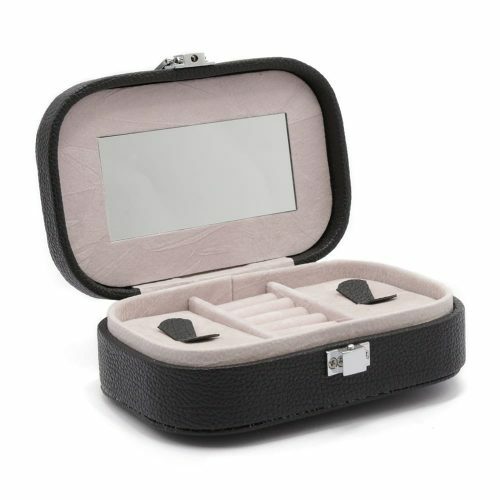 When opened it has an elegant white velvet interior, mirror and two levels. 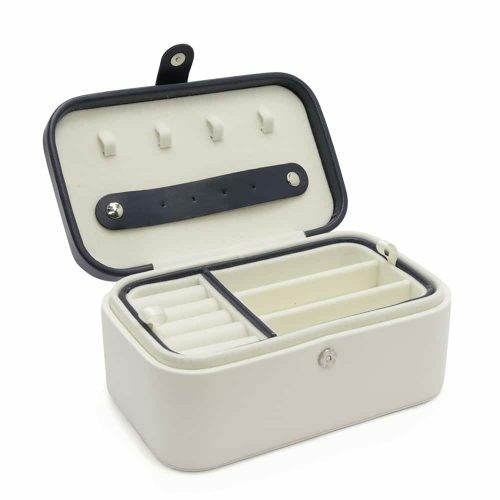 The top features ring holders and 3 long drawers and opens to have a deep base to store your bigger valuables. 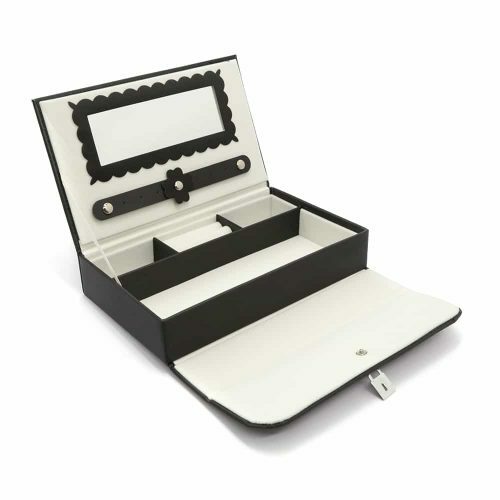 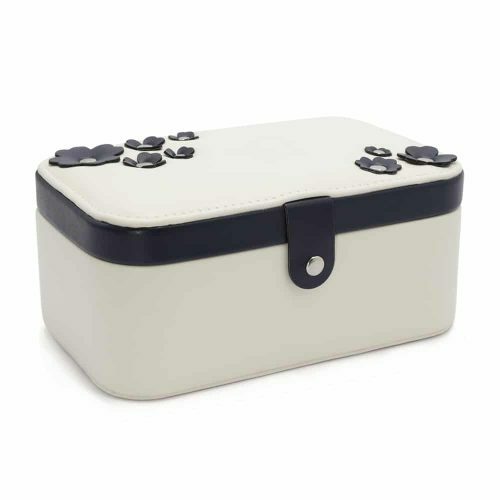 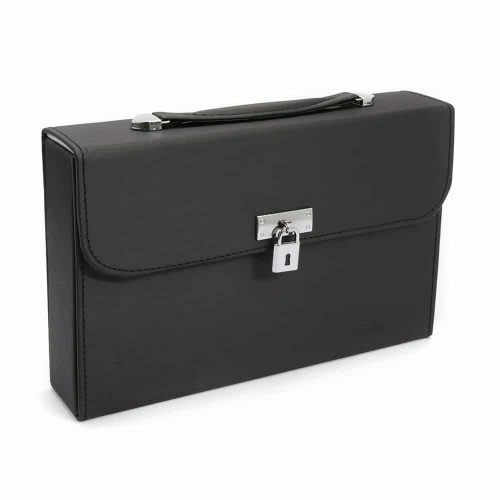 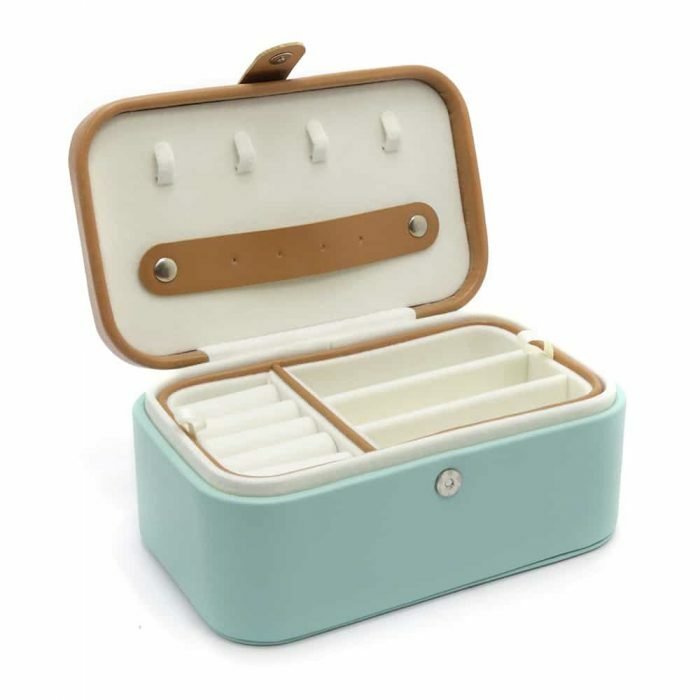 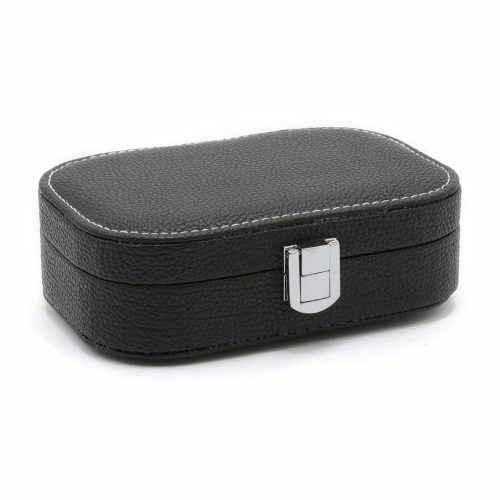 It is perfect for storing jewellery, bracelets, rings, necklaces, and other valuables.